Alessia Bicknese is a senior studying English, Journalism, and Education. This is her fourth year with the Charger Bulletin. Alessia started out as a copy editor, and made her way into becoming a staff writer - mainly for the Opinions & Editorials section. 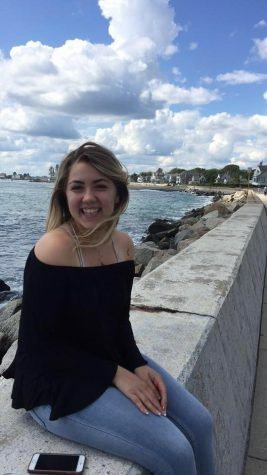 She also created multiple feature sections for the newspaper, such as The Charger Poll (@ChargerPoll on Twitter), Weekly Discovery, and Humans of New Haven. Additionally, Alessia was also a contributor to the Ask Melanie advice column. Aside from the newspaper, she is a member of the National English Honors Society and the former Editor-in-Chief of the Odyssey.